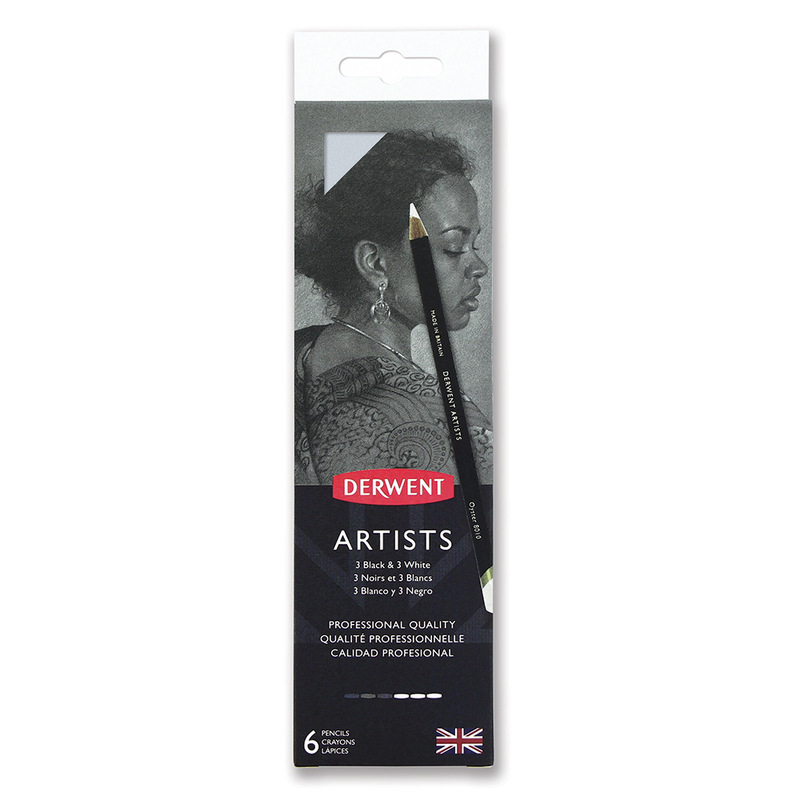 Derwent Artists Black and White Pencils are a unique set of six warm, cool and pure Black and White colour. 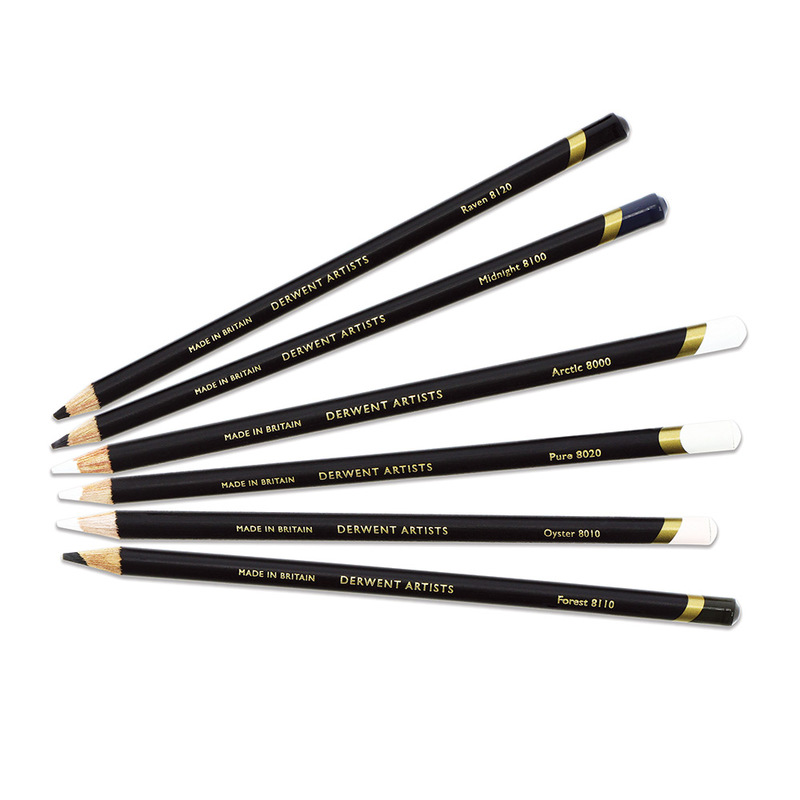 Derwent's finest quality Artists pencils hold strong point and are encased in Cedar wood. They have a wide core of highly pigmented pure colour for intense saturation or alternatively blend and build up layers of subtle tones. 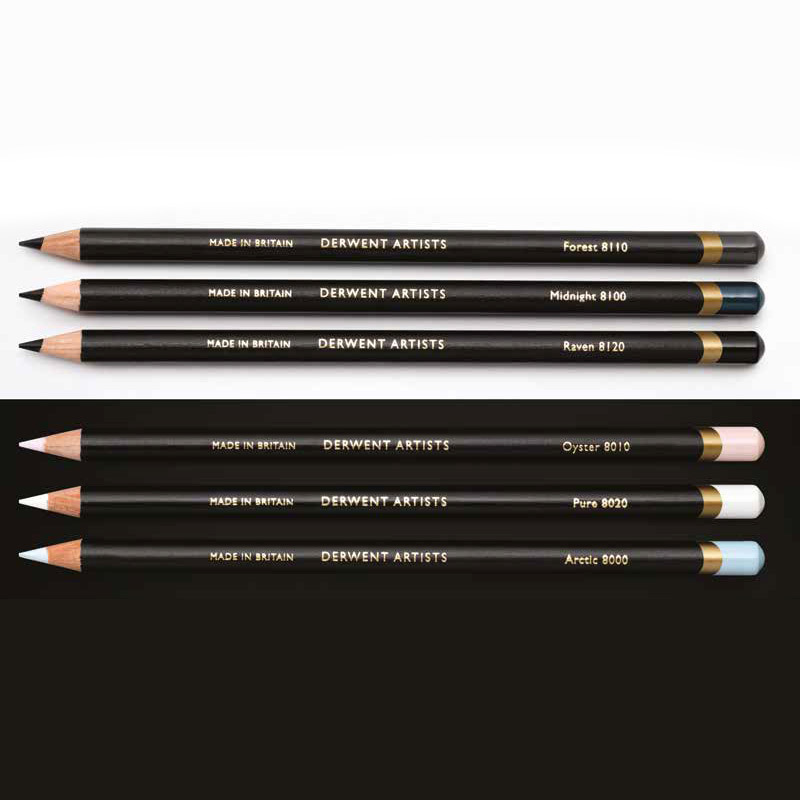 When used together these pencils complement each other and release the subtle colour. 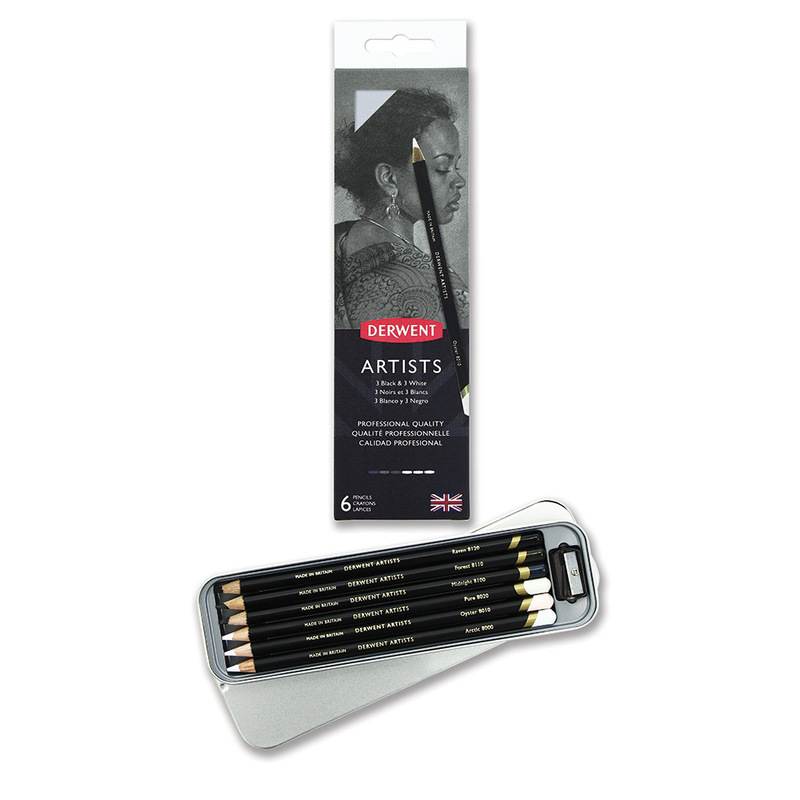 Ideal for bold contrasting work, portraiture or more detailed illustrations.